I hope you have a great weekend , my was spent with my family , Fri we went to dinner (Shoguns ) and took my daughter to see the Lego movie ( very cute ) . Saturday I got my daughter dressed up as a Snow Princess for A Royal Tea party that the Centralia Cultural Society put on and I cleaned house while my husband spent daddy daughter time at the Tea party .Sunday I cleaned in my scrap room a bit and was able to make a card or two with a new stamp my husband got me for Valentines day . 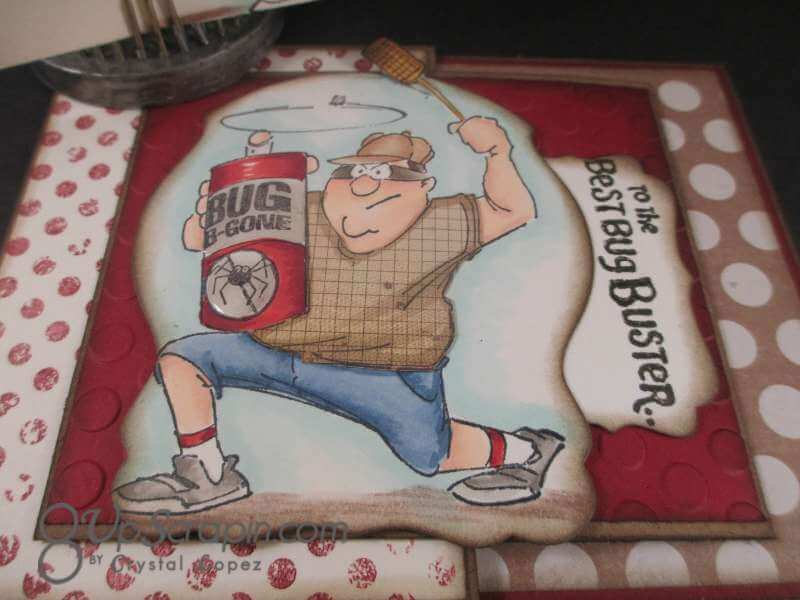 I got one of the new Art Impressions Father’s day Hero sets , this one is called Bug Buster ( this totally is my husband going after those little boogers ..lol ) , this new line geared just for men and is so stinkin cute that I want them all ( one at a time ) . 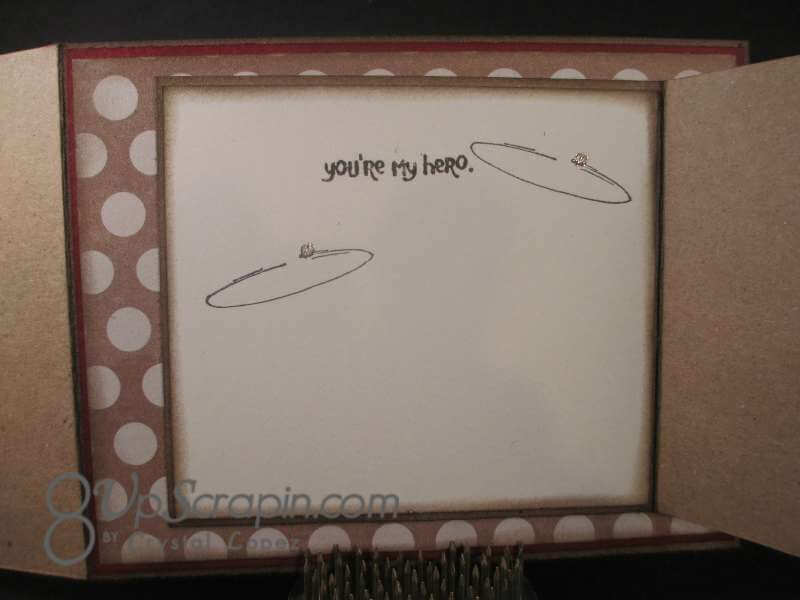 Art impressions has a new challenge to use Kraft paper in your project so this is my card for that challenge. 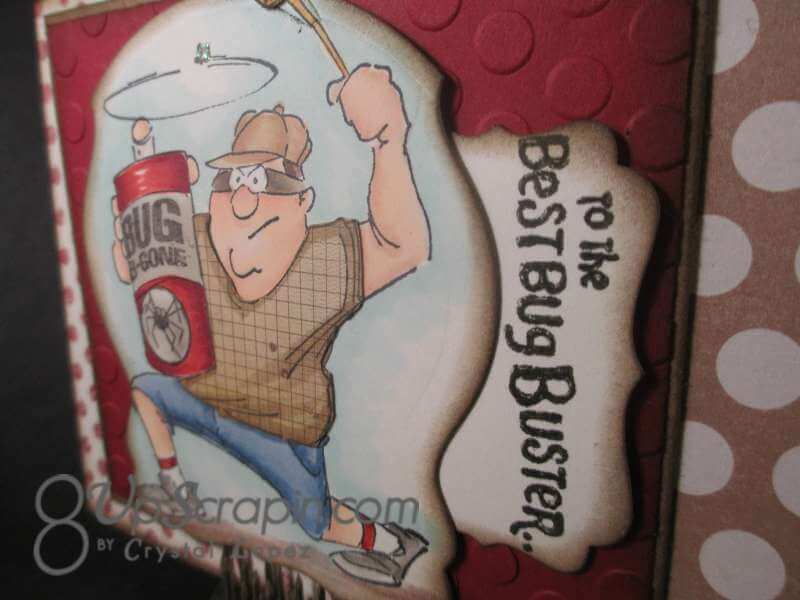 I put glossy accents on the bug can label and the bug circle , there is that fly had to add him to the front too , I put diamond stickles on him , for my sentiment I used part on the front and the rest inside my card . His shirt is paper pieced . 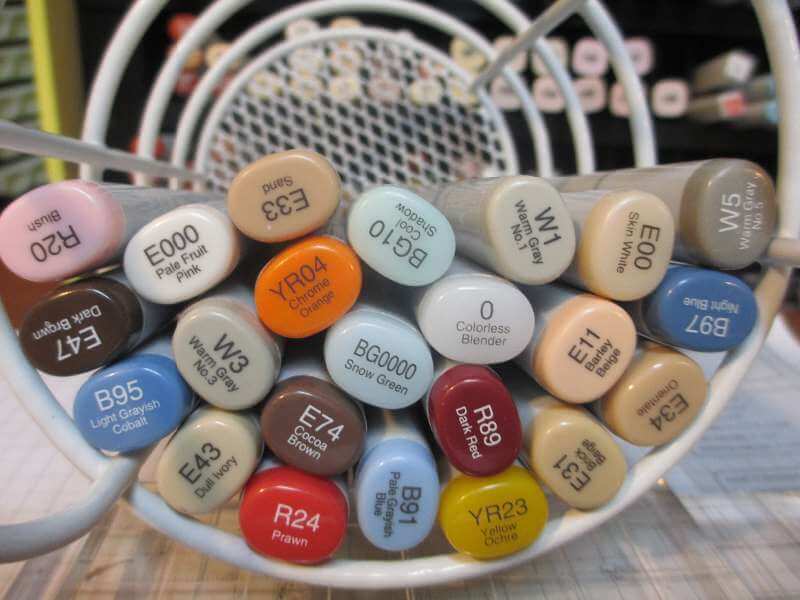 Make It Monday – #178 Always Anything Goes. Art Impressions Stamps – #129 Use Kraft Paper. Brown Sugar – #81 Die Cut or a Punch. Sister Act Card Challenge – #44 Anything Goes. 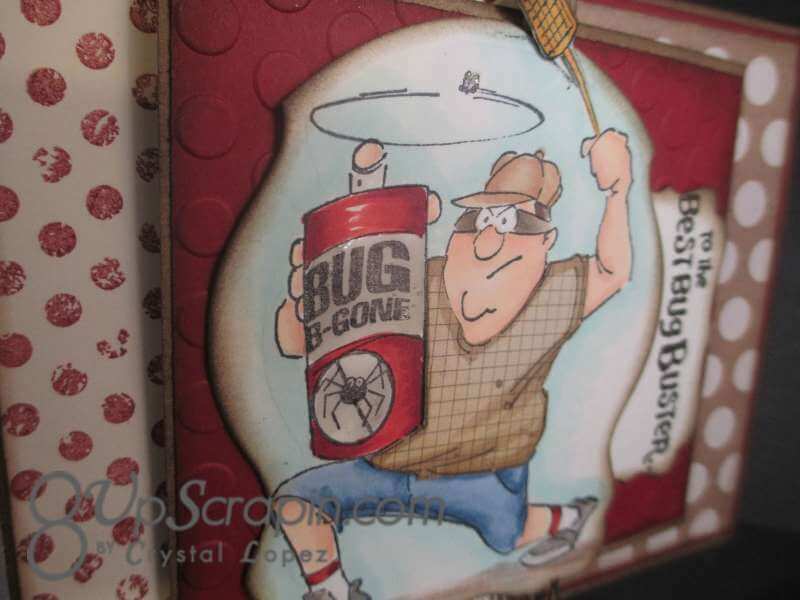 4 Krafty Girlz Challenges – #11 Anything Goes. Just checking out the talent from Make it Monday! Great job! I love this card, and the matching envelope! This is so super cute! A fabulous card, such a great design and I love the spotty papers. Your fun image is fabulous and lovely colouring and details!! Fun cute card. I saw your card on MIM. Love the image and coloring. Sure to bring a smile to the lucky one. Great card. Fun image. Thanks for sharing your work with us at the Sister Act Challenge Blog. Crystal – your card is AWESOME! I love what you did with the Ai Hero – I bet your husband will love this! 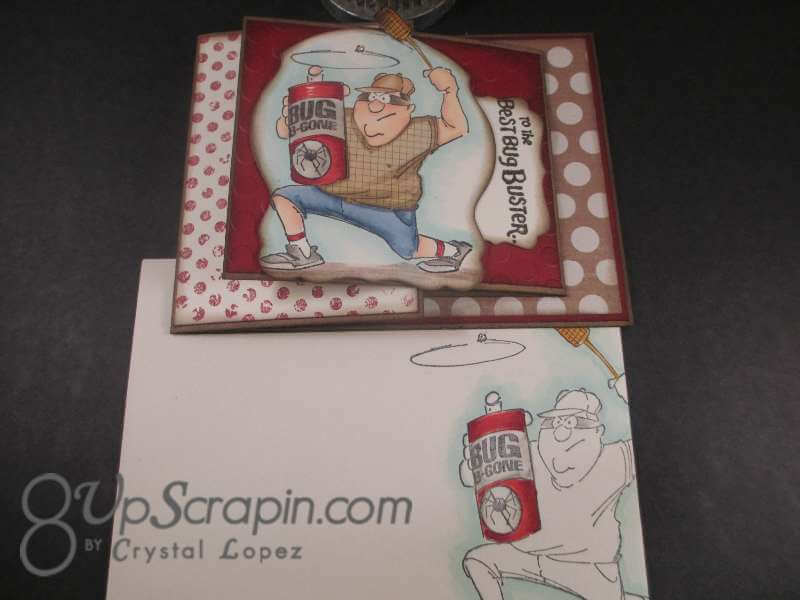 Thanks for entering your card in our Let’s Get Krafty challenge at Art Impressions!! 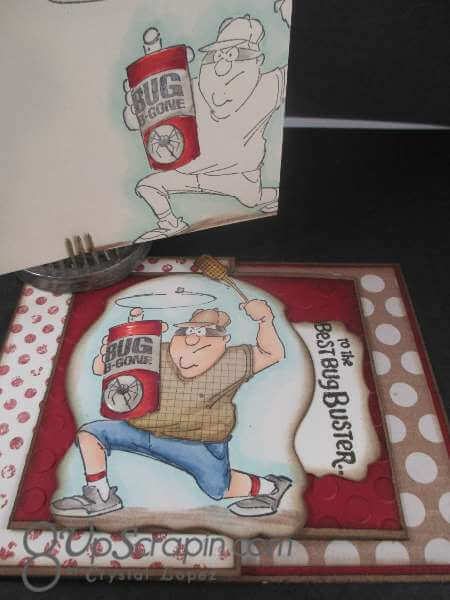 What a fun image and a great masculine design! Your coloring is fab and I love the detail of the paper pieced shirt. Cool! I spotted your card on MIM. Funny card, fabulous image – love his little eye mask, lol. That is too cute! Love the coloring and the sentiment is sweet! 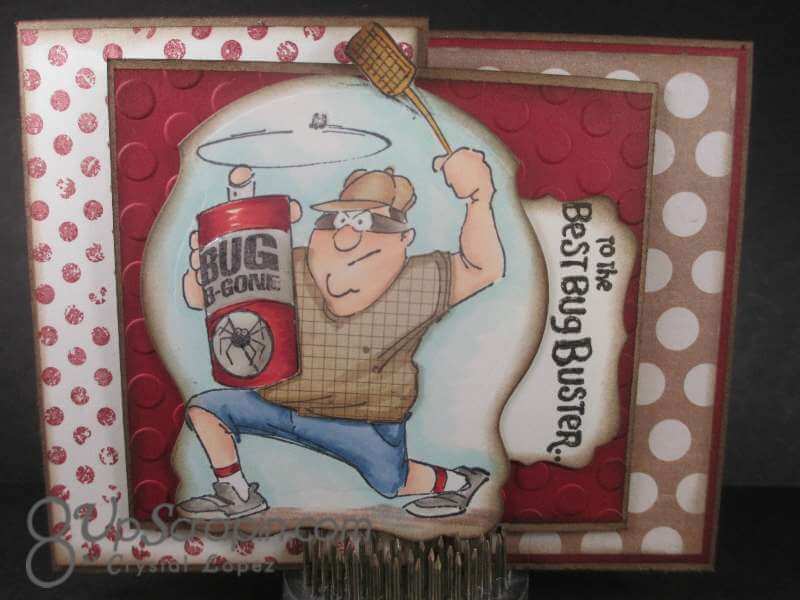 Thanks for playing in the challenge with us at SImon Says Stamp Monday Challenge! Great manly card, TFS with us at OCS!